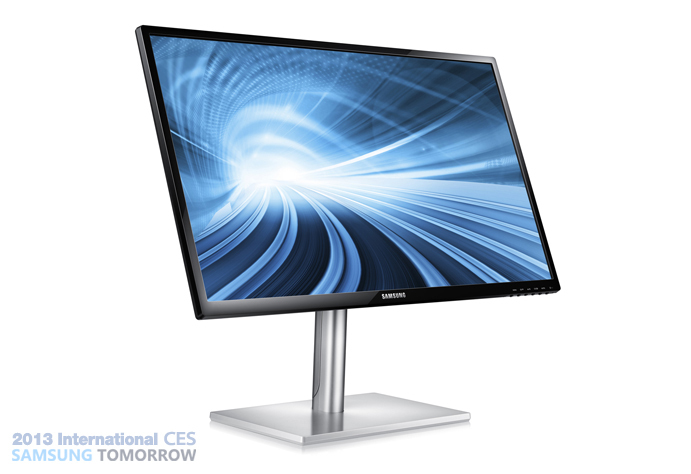 Samsung Electronics debuted two new additions to its lineup of premium monitors, putting professional-grade picture quality within reach for professional and consumer audiences alike. The innovative Series 7 SC770 Touch Monitor comes optimized for Windows 8, while the Series 7 SC750 features a slim, ergonomic design and premium picture quality. 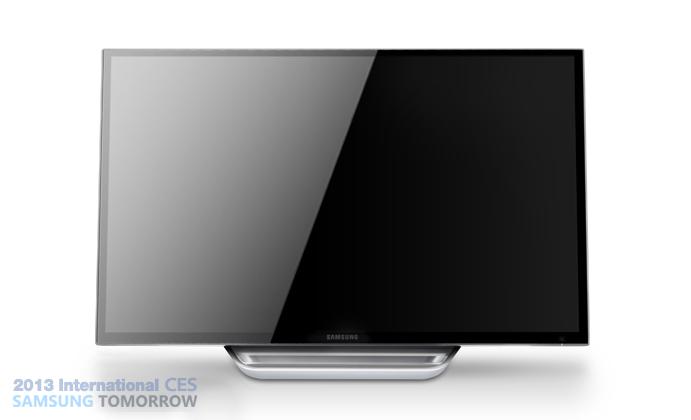 These CES Innovation Award-winning monitors will be on display at the International Consumer Electronics Show (CES) in Samsung’s booth, #12004 in Central Hall, from January 8th to11th, 2013. 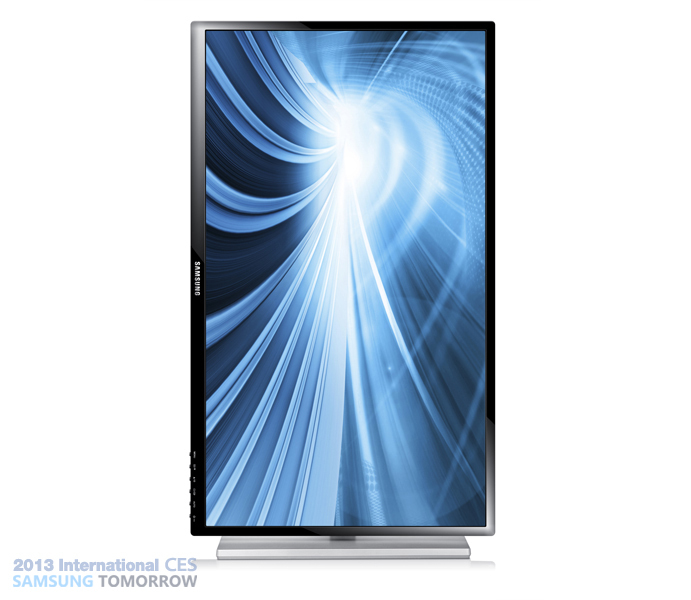 The Series 7 SC770 Touch Monitor is Samsung’s first multi-touch display optimized for Windows 8. Supporting up to 10 points of simultaneous multi-touch, users can drag, rotate or select objects on the monitor using their fingers. The flexible, ergonomic stand of the SC770 conveniently adjusts to user preferences, offering a 60-degree tilt for comfortable use of the touch display. Additionally, the ultra-thin bezel along with wide viewing angles provides a truly immersive viewing experience. The Series 7 SC750 monitor sports a slim, ergonomic design that is capable of a 90-degree pivot for enhanced convenience to users. It is optimized for surfing the web and viewing documents in both landscape and portrait modes. The monitor’s sleek stand precisely positions the screen at a comfortable eye-level without the need for a support fixture and its cylinder-shaped metal stand accentuates the beauty of the slim monitor. Displaying ultra-sharp images, the SC750 monitor touts a 5,000:1 contrast ratio, which is five times that of a standard monitor. 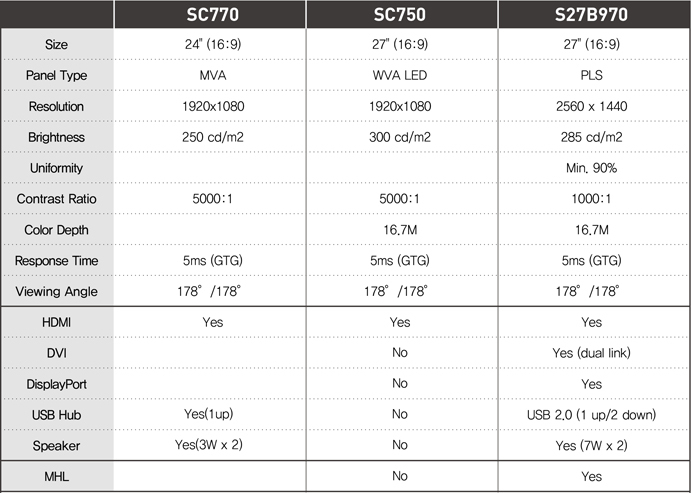 The Series 7 SC750 monitor and the Series 7 SC770 Touch Monitor will be available worldwide in the first quarter of 2013. 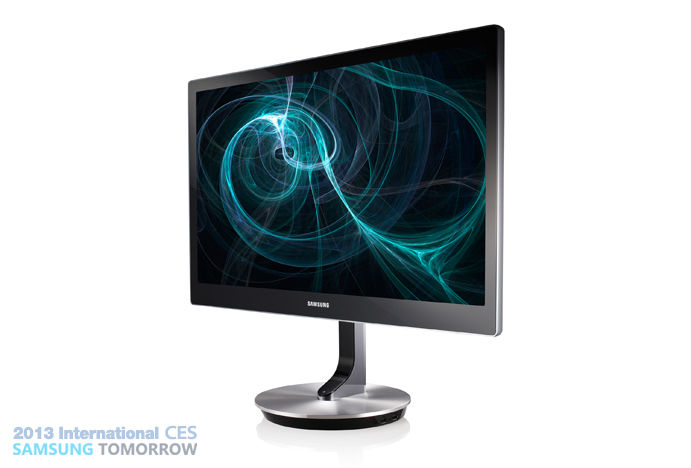 First released in the second half of 2012 to the U.S. market, Samsung’s award-winning Series 9 monitor will also be on display at CES. Offering unparalleled picture quality and life-like color accuracy, each individual monitor is individually hand-tuned by technicians before it is shipped. In addition, a built-in color calibration engine enables users to adjust the uniformity, gamma and white balance of the display using Samsung’s proprietary Natural Color Expert technology, resulting in the most accurate color possible. The Series 9 monitor also utilizes a PLS (Plane Line Switching) panel and Wide-Quad high-definition resolution (WQHD), delivering four times more detail than traditional HD. Inspired by modern skyscrapers, the product’s elegant, minimalistic design has netted the SB970 monitor some of the industry’s top design honors, including the 2012 IDEA Bronze Award and Japan Good Design Award.